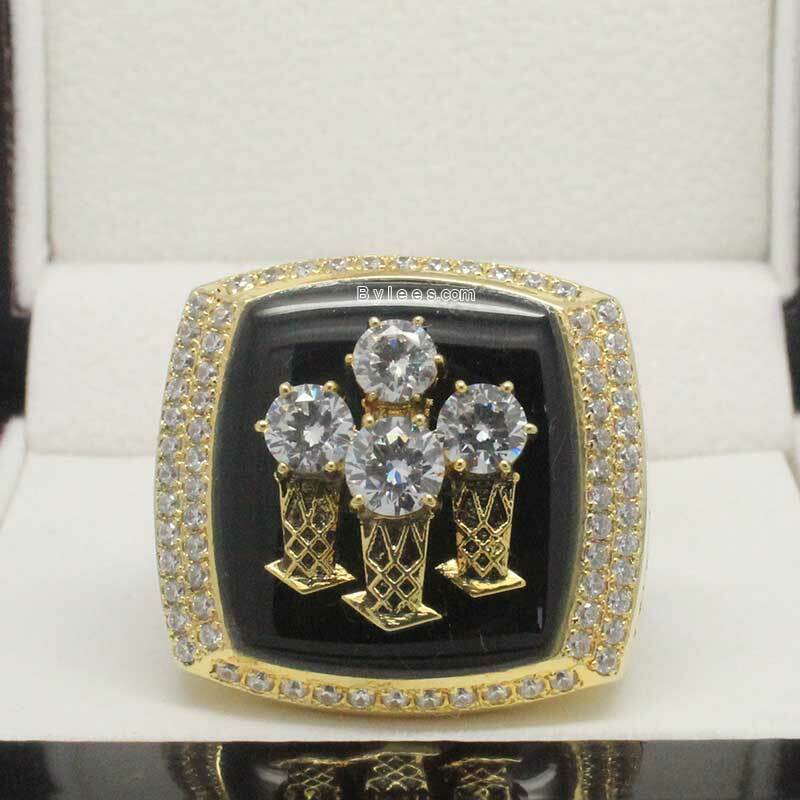 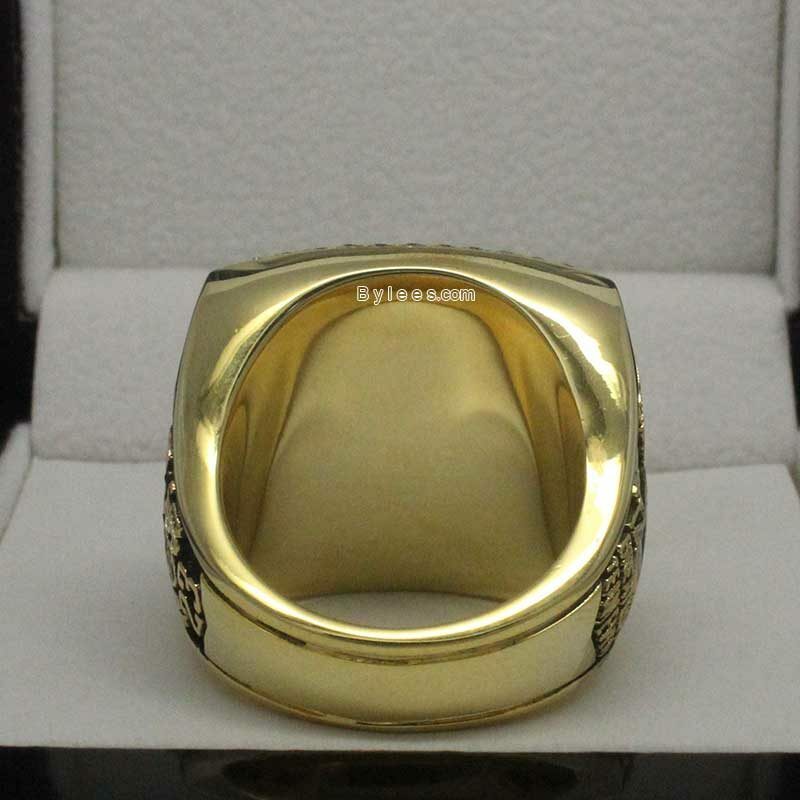 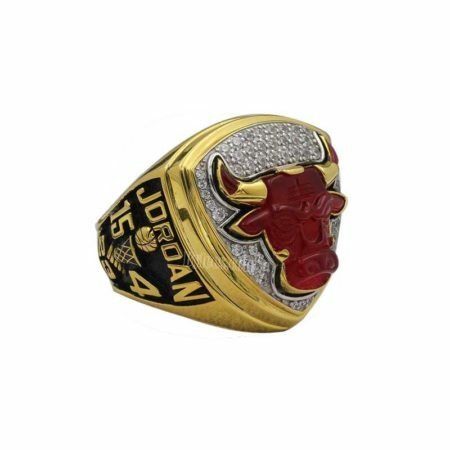 1996 Chicago Bulls NBA Championship Ring commemorated the NBA finals in the 1995-1996 season. 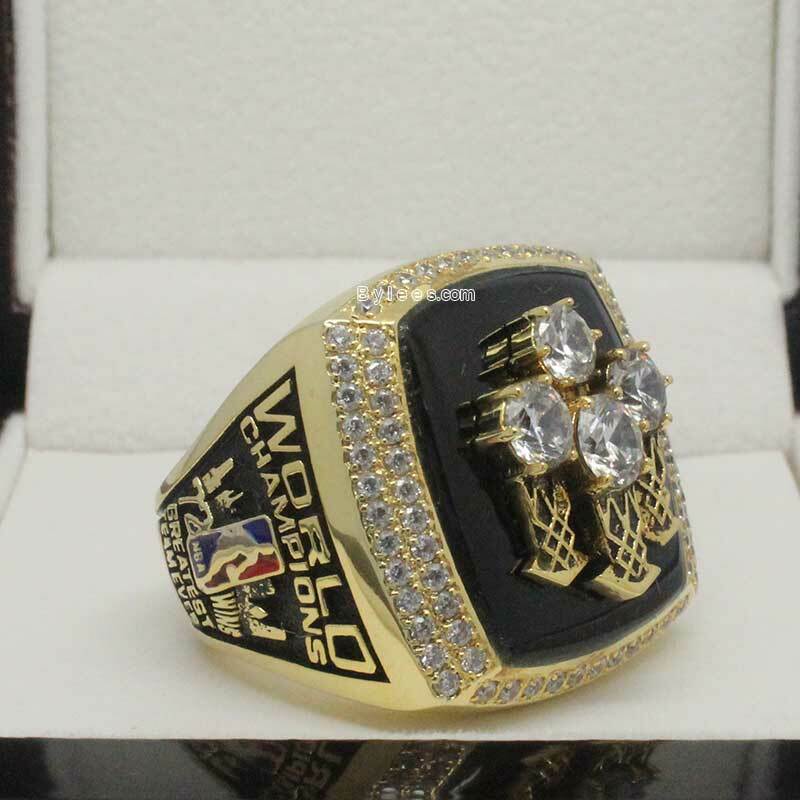 on the top the ring, there are 4 Larry O’Brien Championship Trophies and the red bull icon was moved to one of the side panel. 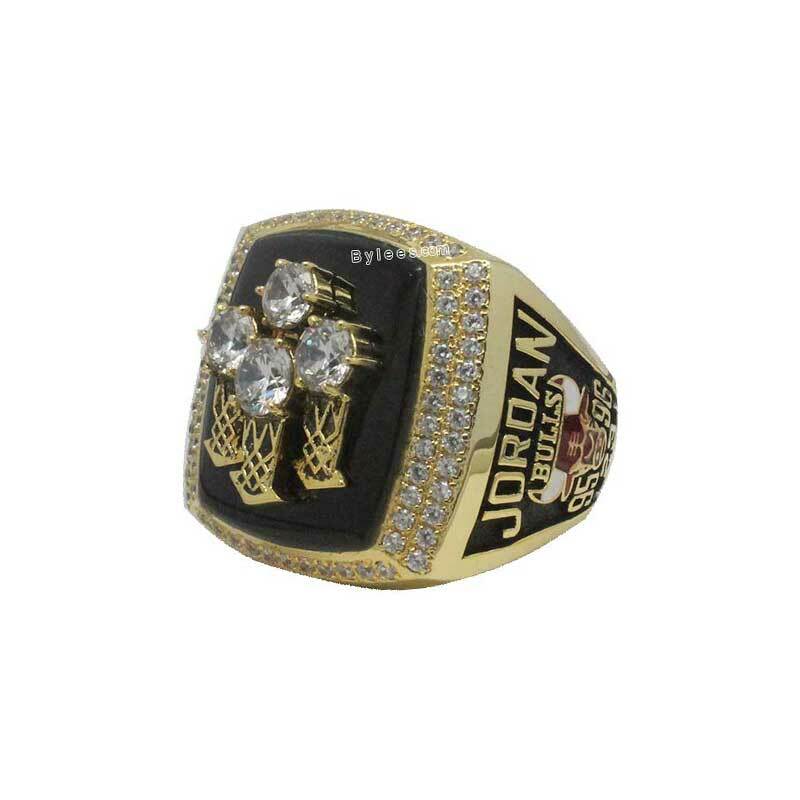 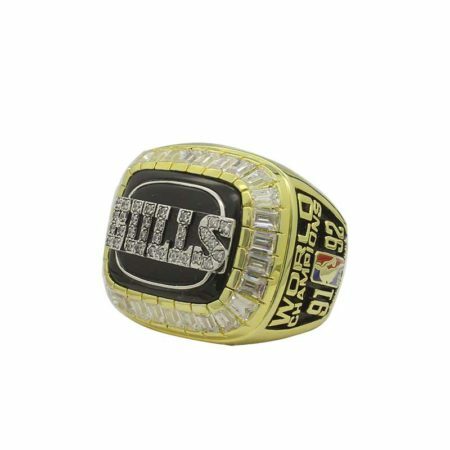 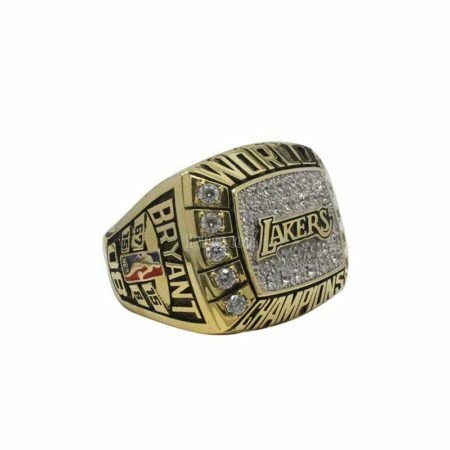 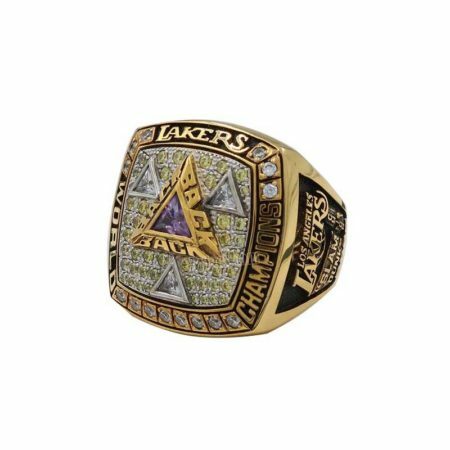 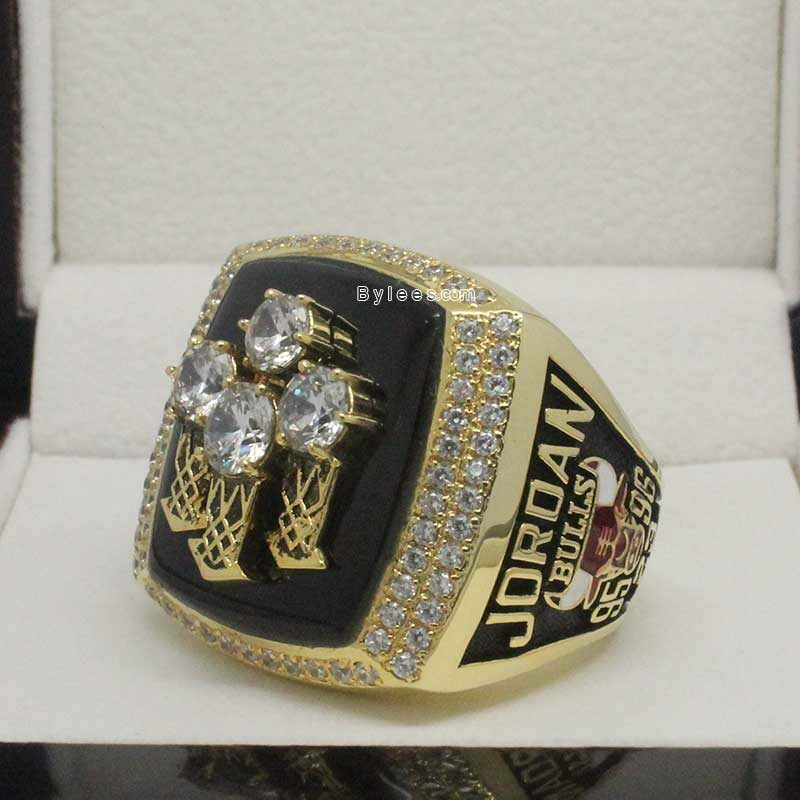 The version here is again the exact copy of the 1996 Michael Jordan bulls Championship ring, he was the finals MVP and led the team, together with Scottie Pippen and Dennis Rodman, to win the 1996 NBA Championship ring.